Variable Storing Integer Data Type is called as “Integer Variable“. 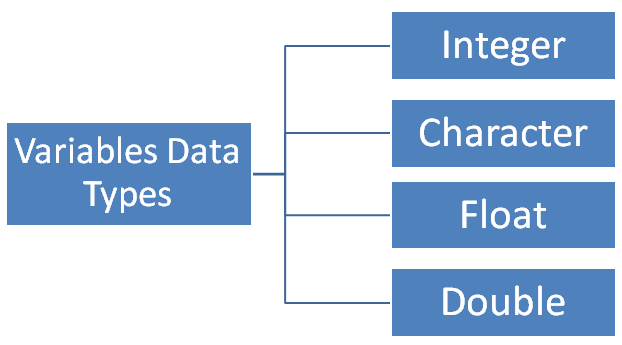 Variable Storing Character Data Type is called as “Character Variable“. Variable Storing Float Data Type is called as “Float Variable“. Variable Storing Double Data Type is called as “Double Variable“. Variable storing single value at a time of any data type is called as “Normal or Ordinary” Variable. Variable Storing multiple values of same data type is called as “Array“.